November 18, 2010 - Sikorsky Aircraft Corp. has delivered nine new S-76 and S-92 helicopters to China in 2010 the most ever in a single year for China. Through a steady stream of deliveries that include the delivery of two S-76C search and rescue (SAR) helicopters to the Ministry of Transport (MOT) China Rescue and Salvage helicopters last week and two S-76C++ to Eastern General Aviation Company (EGAC) currently being delivered. Sikorsky announced the deliveries from the China Air Show. In addition to the EGAC and MOT deliveries, Sikorsky Aircraft also delivered two S-76C++ helicopters so far this year to the Zhuhai Helicopter Branch, a division of China Southern Airlines. Zhuhai is scheduled to take delivery of a third S-76C++ helicopter next month, the last one for Zhuhai this year. ?Operators worldwide continue to see high value and safety in the S-76 helicopter line,? said Scott Pierce, Sikorsky vice president, Asia Sales region. ?The safety and efficiency of these aircraft, combined with solid support, have contributed to the growth of the fleet across Asia and Sikorsky looks forward to continuing its relationship with these customers for many years to come.? The China Rescue and Salvage has been operating the Sikorsky S-76 helicopter in the SAR capacity since 2001 and it has developed into a skillful search and rescue agency, responsible for the entire coastline of China. The Director General, Bureau of Rescue and Salvage, Captain Song Jiahui personally accepted the aircraft from the Sikorsky Global Helicopters facility in Coatesville, Pa., USA. China Rescue and Salvage, which established its aerial search and rescue capability with the S-76 helicopter, will celebrate its 10th anniversary flying Sikorsky helicopters in 2011. With the pending December delivery, Zhuhai will operate a total of 13 aircraft - 12 S-76 helicopters and one S-92 aircraft. Zhuhai is the largest Sikorsky fleet operator in Asia, providing maritime helicopter services for domestic and international oil companies in the Bohai Sea, Yellow Sea, East China Sea, and South China Sea. Located in Tianjin in northern China, EGAC is a large commercial customer of Sikorsky Aircraft in China. 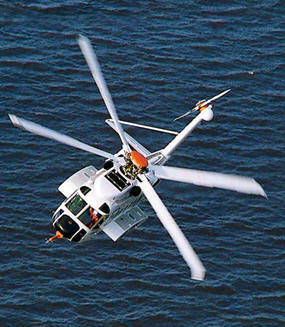 It provides both S-76 and S-92 helicopter service to offshore oil companies operating in the Bohai Bay area. Sikorsky delivered two S-76C++ aircraft to EGAC in June 2010. With the latest addition being delivered to EGAC at Sikorsky Global Helicopters? facility in Coatesville, Pa., USA, this week, EGAC will operate a fleet of eight S-76 and one S-92 aircraft.